A rise in resident complaints over unlicensed street vendors has prompted Pomona officials to ramp up stricter enforcement. Beginning in July, the city will have a zero-tolerance stance and will start impounding push carts but will give individuals a bag for their personal and perishable belongings. Santafemia said the complaints aren’t limited to one part of the city. Mark Gluba, deputy city manager said the enforcement won’t be limited to push-cart vendors, it also includes those who set up impromptu shops on the streets. Horatio Ruiz, a member of the Sacred Heart Church council, recently complained to the City Council about what he felt was a rise in illegal push-cart vendors at the church. “Some of us love them and some of us don’t like them, however, we’re looking at the safety factor of the vendors,” he said. Ruiz said vendors typically flock to the entrances and exits of the church on Sundays, where as many as 5,000 parishioners will attend mass throughout the day. “It becomes a very dangerous zone,” he said. In the past, Ruiz said code enforcement and police have responded to their concerns. Resident Pete Garcia said he, too, has noticed the issue but feels code enforcement officers haven’t done enough to address the problem. Alvaro Huerta, assistant professor of Urban and Regional Planning at Cal Poly Pomona, decried what he called Pomona’s “draconian enforcement” action, adding most street vendors are immigrants who contribute to the informal economy. If these individuals have to go to court then they might fear having a criminal record and ultimately being deported, he said. Instead, he said, Pomona should be looking at ways to decriminalize it and instead regulate vendors as the city of Los Angeles has been prompted to do. “These are hard workers and for code enforcement to confiscate their benglongs,” takes away their livelihood, he said. Huerta said the city’s action is different than issuing a parking ticket because the person cited still gets to drive. Most push carts cost anywhere from $500 to $1,000 and can’t easily be replaced. Many of these vendors often buy their goods from a local market as well as use their revenues to support the same economy. If there are legitimate issues, such as a vendor selling drugs, or selling food in front of a restaurant, then Huerta agreed it should be addressed. When criminal activity is not involved, Pomona should respond by enacting “regulations and education versus a strong-arm approach,” Huerta said. 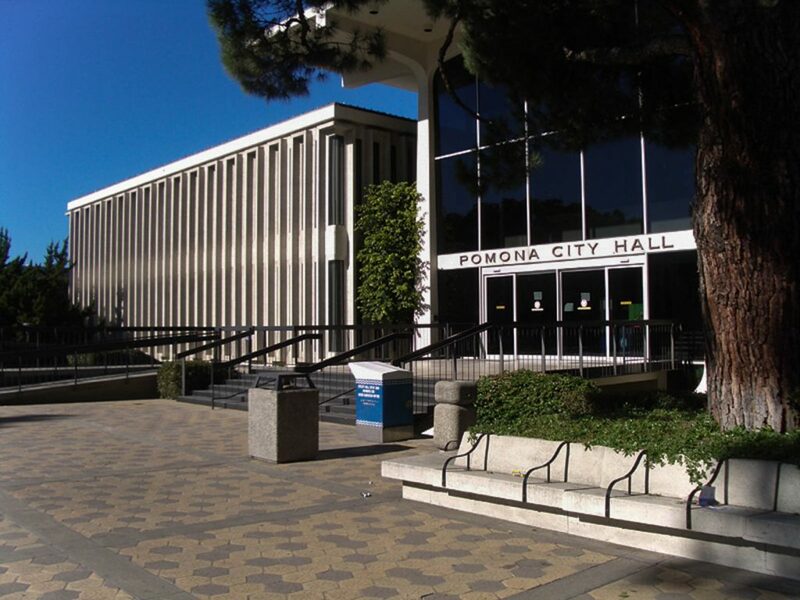 Mayor Tim Sandoval denounced the claim that Pomona’s action would lead to any federal involvement, pointing to the fact the city passed an ordinance December 2017 supporting SB54, also known as the sanctuary state legislation. The fact of the matter is, Sandoval said, street vending is not allowed. Code enforcement officers will spend this month warning vendors about the grace period and the future changes in enforcement, Gluba said. The vendors who are stopped by code enforcement officers will be given a notice to appear in court, he said.The amount they will have to pay for violating the city’s ordinance will ultimately be determined by a judge, Gluba said. Code enforcement officers will be handing out a bilingual fliers to inform those cited about the city’s ordinance, he said. I am a resident of Pomona and I agree with Mr. Huerta, these people help the economy grow. I also agree that we need to do something about it, so I strongly believe that these street vendors should have a selling permit that has to be renewed every year with the City of Pomona. This way the City makes sure everything is in order with the products there are selling.